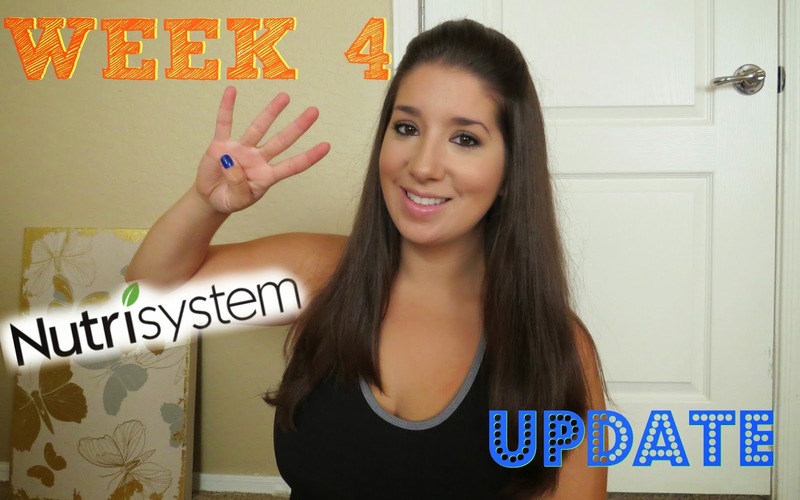 Catch up on my previous Nutrisystem weekly updates and vlogs over here. I have made it 4 whole weeks on Nutrisystem. So how do I feel about the program so far ? It's works ! Plain and simple. This system provides all of the tools to be successful. This program takes the guess work out of successful dieting. With the 3 major meals of the day and protein shakes for in between that are provided. I really only have to add in my own drinks and some bonus foods to my meals. ( See my Week 2 update for more on that ) Heck Nutrisystem even send you desserts for the weeks after the Fast5. With the way nutrisystem is set up, and aside from the first week I do not feel like I am depriving myself of the foods I enjoy. I am definitely more aware but not obsessive about what makes it in my body because I am reasonably limiting myself. Not totally cutting myself off but also not allowing myself to gorge either. I really feel like as long as you can fathom the idea of following a meal plan in general, you could be successful on this program. Even with a few mess ups, which could actually be either eating too little or too much, I honestly believe it all evens out by the end of the week. Just like last week, I was terrible about eating the provided dinner meals. I was more careful about what and how much I ate though. I also made sure to have AT LEAST a small salad before I ate anything at dinner time to help curb my hunger and not over eat even if I really wanted to. Basically how my days go is a Nutrisystem breakfast and Nutrisystem lunch, a cheese stick for midday snack and dinner with my family. This schedule has left me feeling complacent. I have not been getting that I'm starving pit in my stomach and that's a major improvement since the first week . 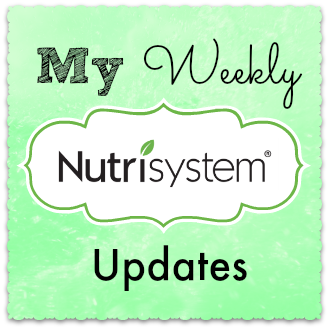 As for this weeks Nutrisystem foods I don't think I tried anything new. Mostly reruns - I did order next months food though !!! And I am SUPER excited about that. I have a feeling I will definitely be better about eating the Nutrisystem dinners when those arrive. I picked out what sounded like some bomb for com choices. This next week I think may be a bit tricky because even though I tried to spread out the foods I wasn't thrilled about I am still somehow left with like 6 lunch meal bars -- but that's next weeks news. Now on to the results !! I am down 1.6 lbs from last week and have lost 8.6 lbs overall. Don't forget to subscribe to my YouTube Channel to get notifications when my new videos go up ! 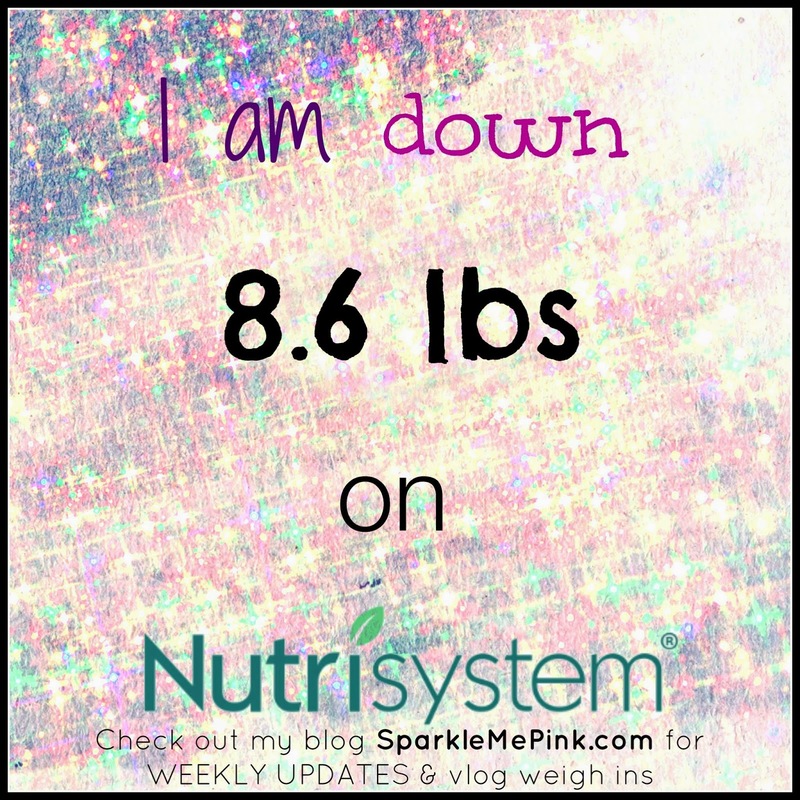 Nutrisystem is NOT sponsoring me during this process, meaning I an NOT being paid to do any of my blog posts or videos. They have provided the foods as part of the program but that is it ! All opinions as always are that of my own. I am not losing very much weight. I have to stop myself every night from not eating dessert. I need to exercise more and watch what I eat! Congrats on your weight loss. But it is very hard to lose weight when getting older. That is awesome that your are losing inches. I would love to try this in the near future. I just have to find a way to afford it. Great Job!! It's so exciting to see the scale AND the tape measure drop huh?! You're looking great! You are doing fabulous!! Keep it up, love!